This Monday marked the opening of the University’s new Student Resource Center. Located at 167 High St.–formerly the home of the Shapiro Creative Writing Center–the center is part of the University’s Office of Student Affairs, though it will likely be collaborating with the Office of Equity and Inclusion. In a campus-wide email, University President Michael Roth ’78 announced that Demetrius J. Colvin would be the new director of the SRC, and gave credit to student, faculty, and staff for providing their input throughout the Center’s conception. The new resource center’s goals were initially guided by a proposal developed last year by the Equity and Inclusion Steering Committee. The 26-page document provides an in-depth summary of the plans for the future of the center. The proposal continues by discussing plans to create an advisory board for the center, to be composed of two tenured faculty members, two alumnae representatives, two staff members (one from the Office of Student Affairs and one from the Office for Equity and Inclusion), and five students (ideally one to represent each of the four identity group sub-centers and one WSA representative). WSA Vice-President Sanam Godbole ’19 will also be sitting on the Equity and Inclusion Steering Committee (EISC). She will help identify active and systemic inequities on campus and attempting to eliminate the roots of these issues. Former WSA president Rebecca Hutman ’17 expressed a similar sentiment to Godbole. She mentioned her hopes that the Center would help facilitate conversations about equity and inclusion in spaces where conversations about it tend to be missing. Currently, the Center is designated to serve as a resource for all student needs. That being said, Vice President for Student Affairs Michael Whaley expects that there will be cross pollination between the center and the Equity and Inclusion team. Although the Resource Center has just become a reality, Whaley said the idea for it originated during the fall semester of 2015. 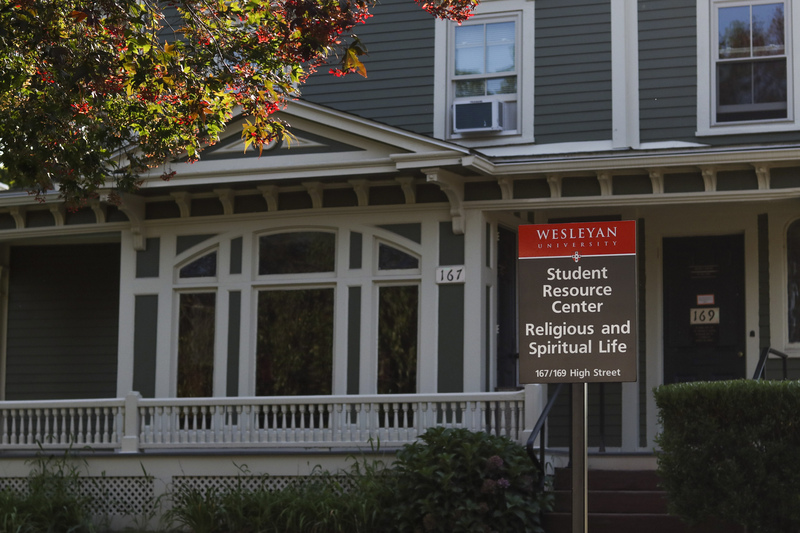 “The Resource Center was an outgrowth of a long history of student protest and activism on Wesleyan’s campus–most recently the #IsThisWhy protests in the Fall of 2015 and a group of students who created a proposal for a Gender Resource Center,” Hutman wrote. The #IsThisWhy protests eventually led to the creation of an Equity Task Force during the spring semester of 2016. The task force’s aim was to explore sources of inequity on campus. Already involved with the WSA, Hutman also entered the fold in the fall semester of 2016 as a member of the Equity and Inclusion Steering Committee. “We spent the year trying to listen to many of the voices who had pushed for the Center, understand the many visions people had for the Center, and draw up a proposal for a Center that could a) best recognize the needs and desires of those who had called for it and b) be a sustainable structure going forward,” she wrote. Hutman worked on the steering committee alongside Evelysse Vargas ’17, Ainsley Eakins ’18, and others. Vargas told The Argus that a majority of the work completed by the Task Force was commissioned during the 2015-2016 school year. The Steering Committee’s main job was to create a space flexible enough to support marginalized communities despite the possibility of evolving threats to these communities. According to Dean Whaley, the center will have to spring directly into action given the recent news concerning President Obama’s immigration policy, DACA. Hutman also shared her vision for the Center’s response to the DACA repeal and how she hopes this will inform social justice efforts moving forward. She also shared her hopes that the Center would continue to engage with advice from students on how it can grow in the future. “I hope that the Center will make clear what resources exist, allow students to recognize what additional support (legal and financial) could be useful, and serve as a platform to realize, organize, and deliver those services,” she wrote. Godbole shared Hutman’s sentiment on the Center’s role at the University in the context of both national politics and campus activism. The new Resource Center is currently open, and will be hosting an open house on Friday, Sept. 22 from 3 to 5 p.m.
Camille DeBeus can be reached at cdebeus@wesleyan.edu.